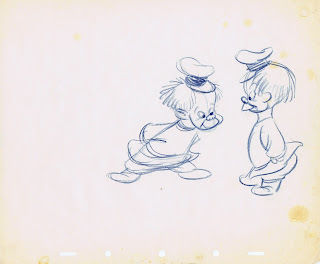 I have always loved this short film from the feature "Make Mine Music". 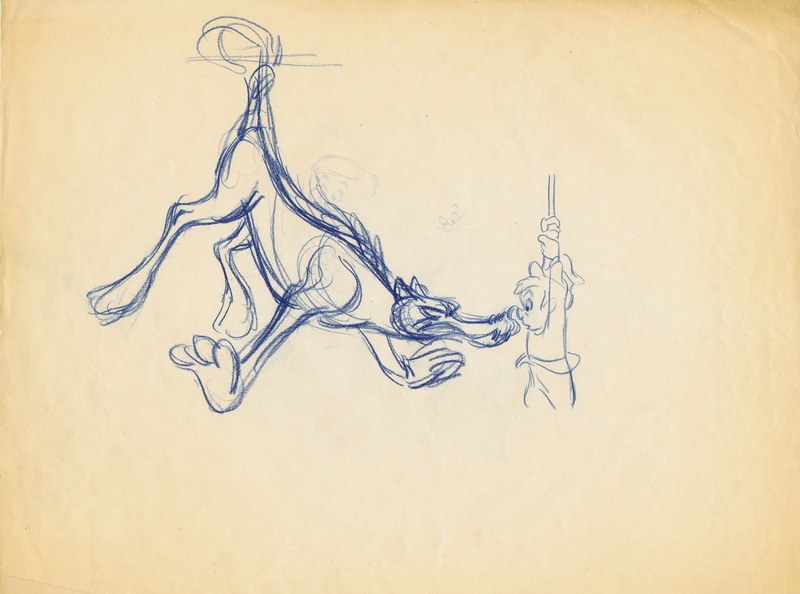 You put the music of Sergei Prokofiev and the animation by Disney together, and of course you end up with something special. 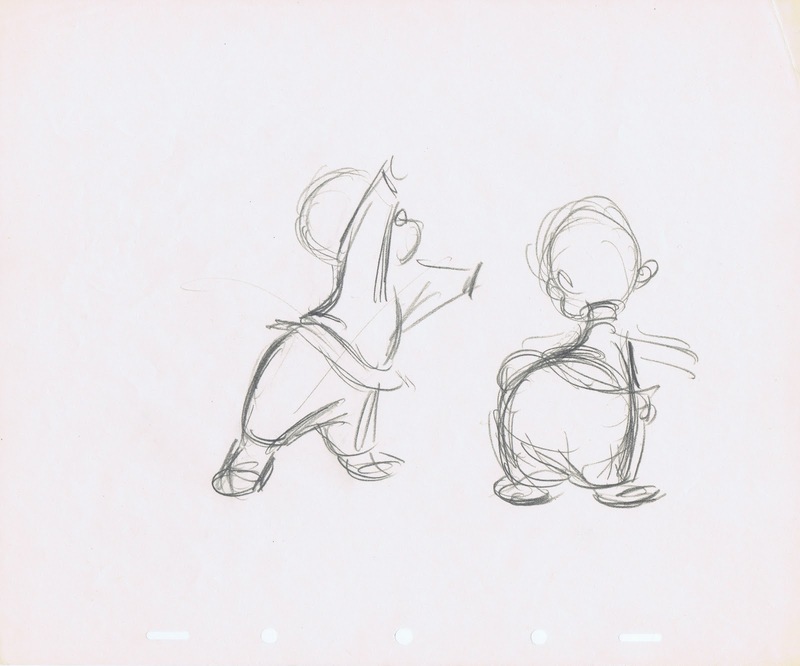 Originally planned without narration, it was Walt who asked to get Sterling Holloway to tell the story. 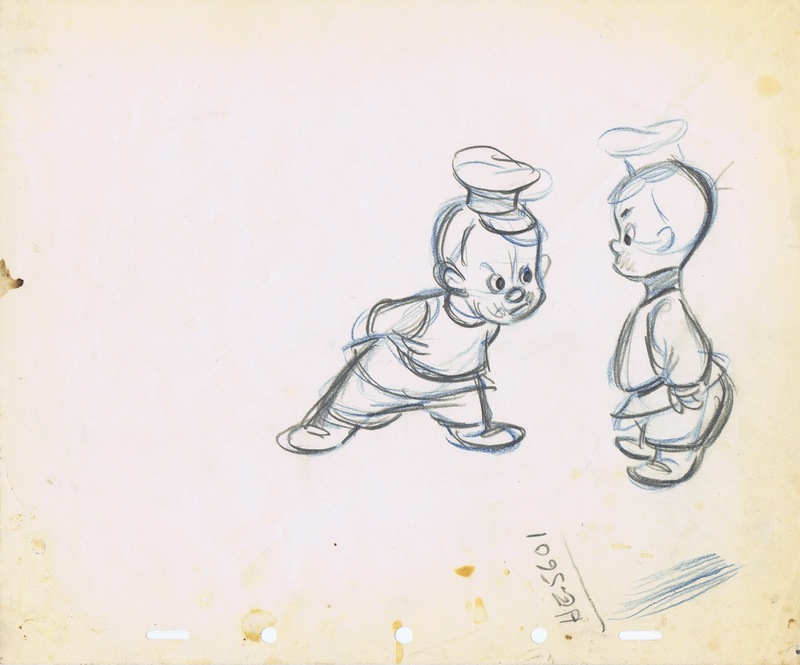 The animation is top notch and the background styling is stunning. 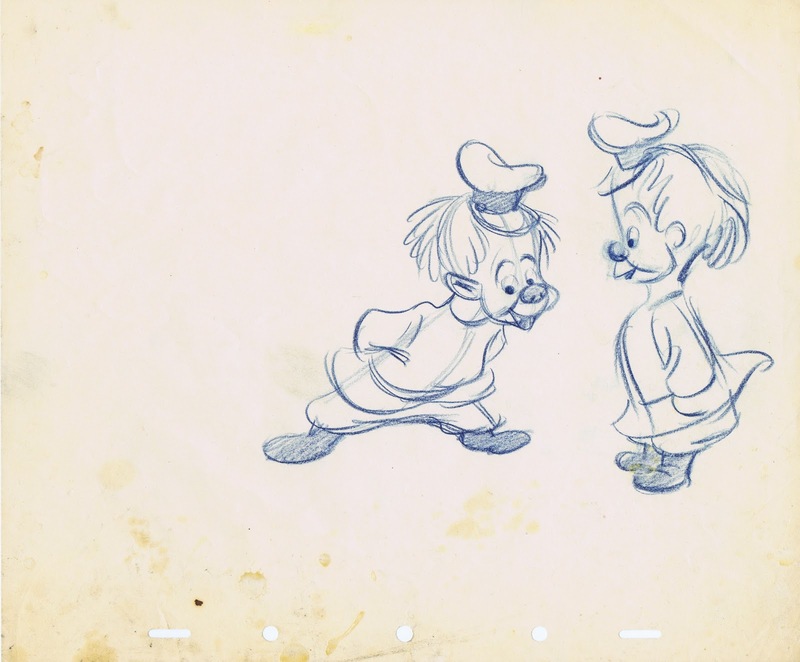 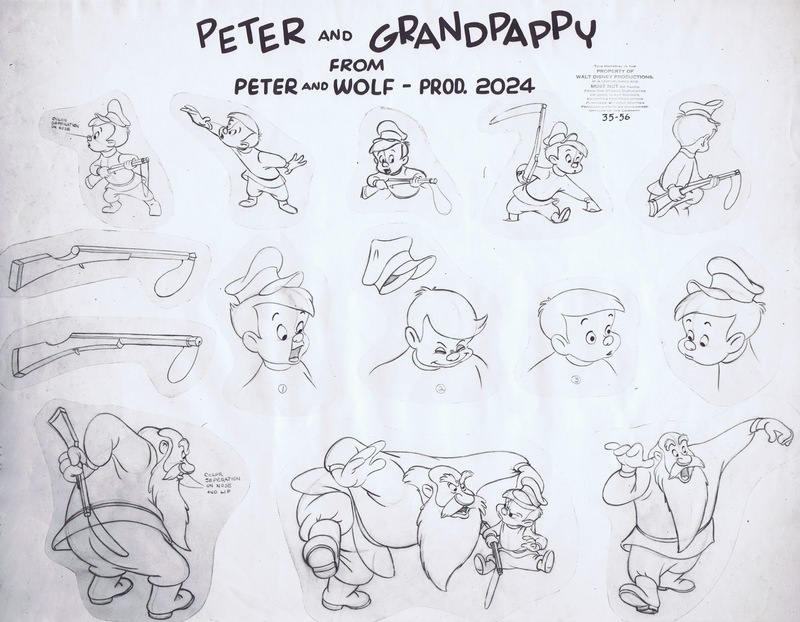 Several great animators had their hands on this film, and it is interesting to compare these design sketches and staging drawings. 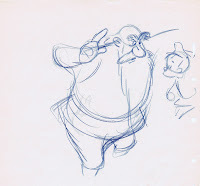 followed by the final clean up sheet, based on animation by Ollie Johnston. 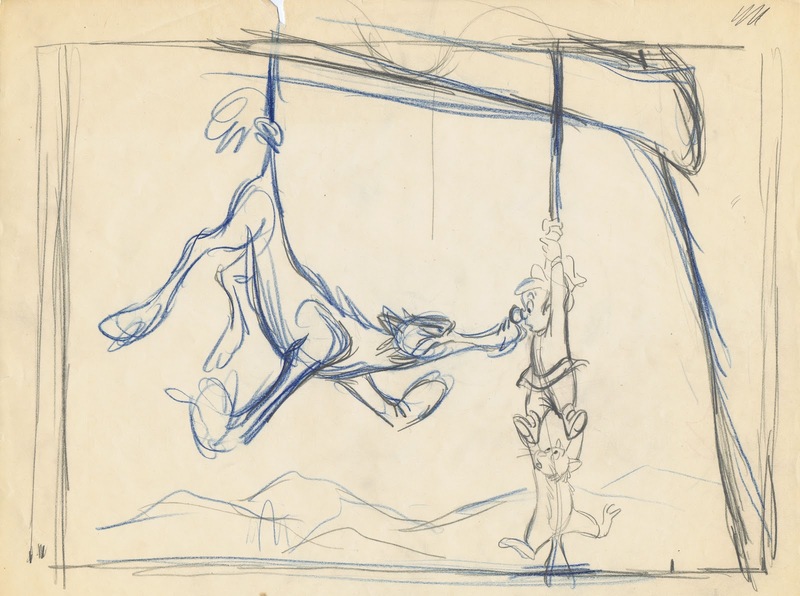 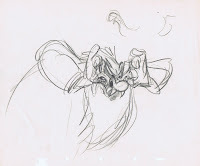 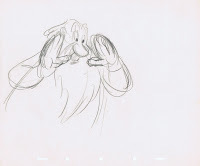 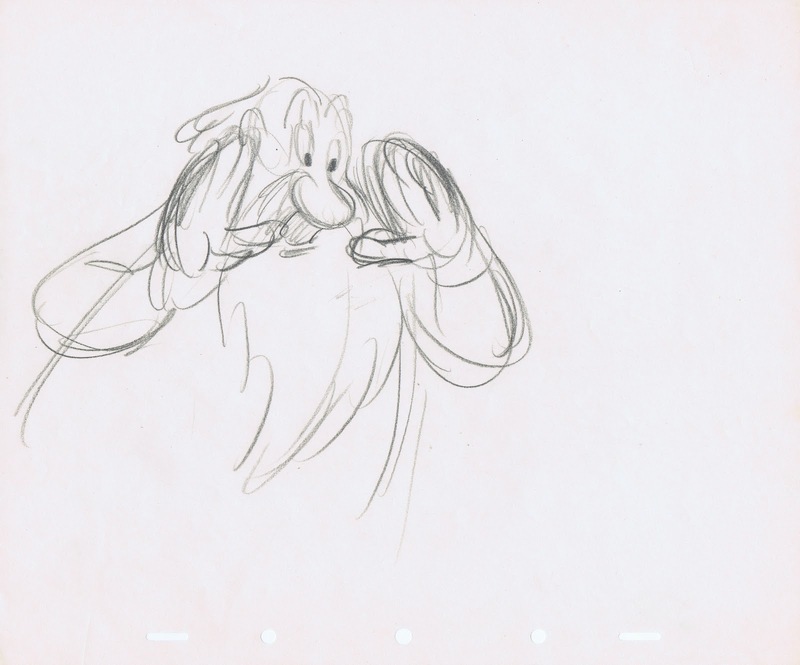 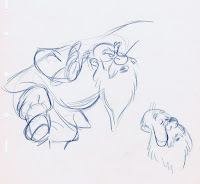 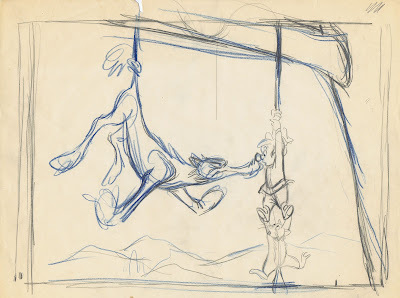 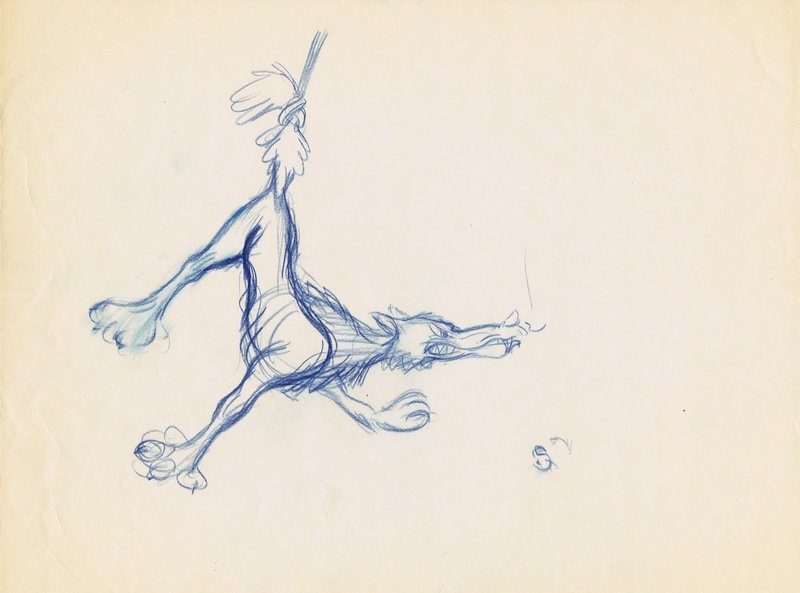 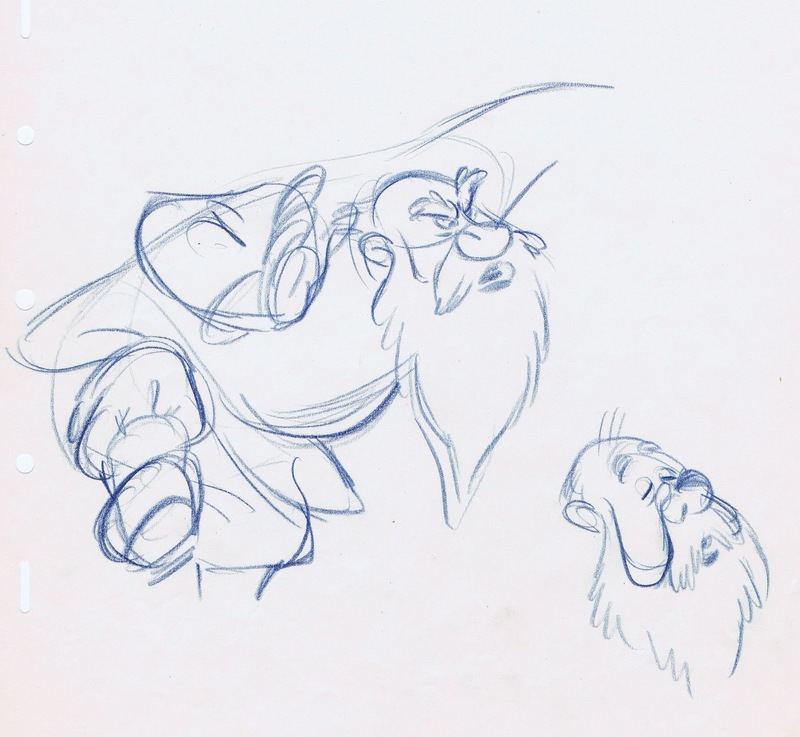 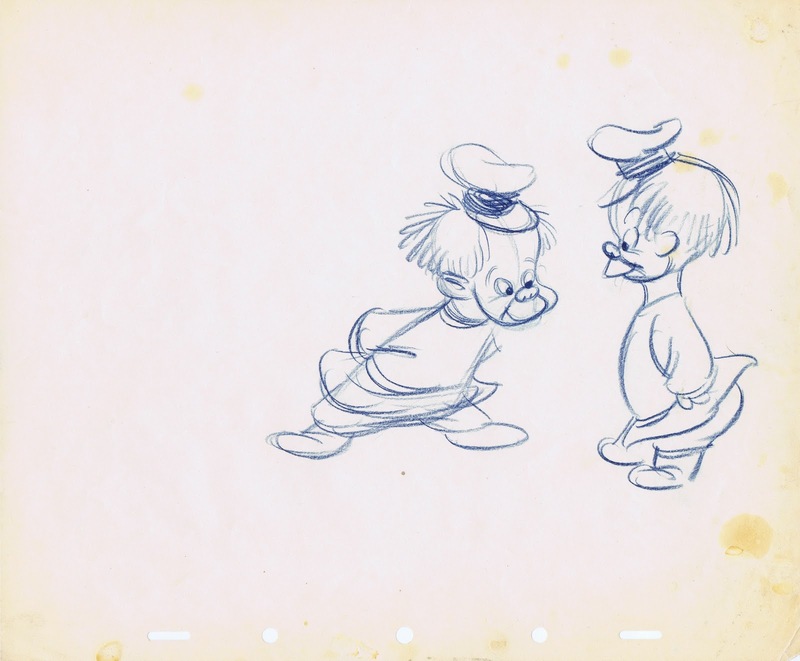 The next few images are by Milt Kahl, who actually didn't do any animation for this short. 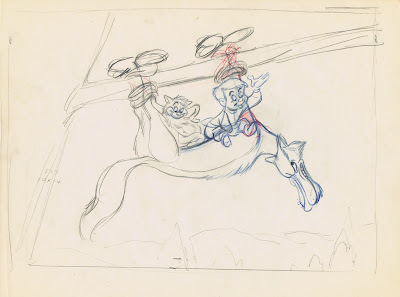 But as so often he helped out with design and drawing issues, in this case for scenes by Ollie Johnston. 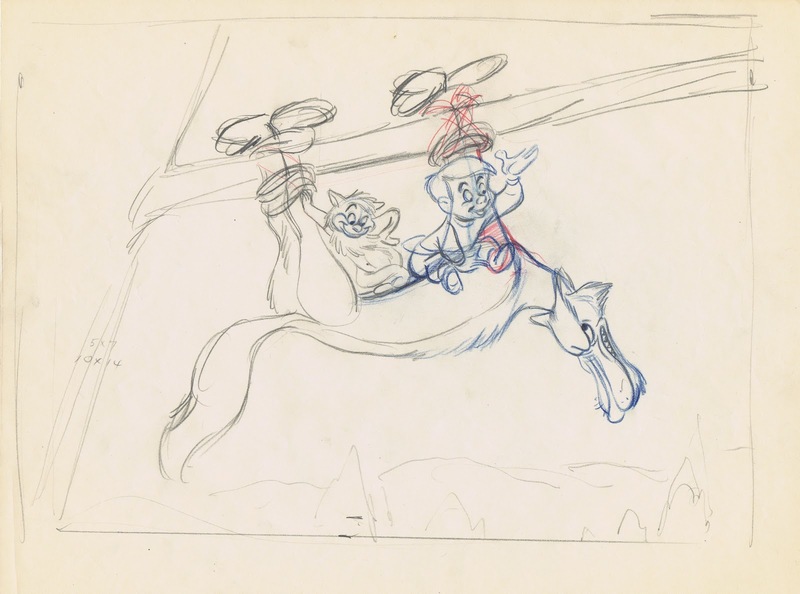 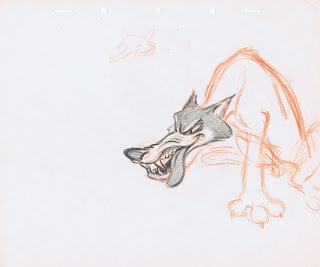 The sketch with Grandpa mimicking the wolf is kind of scary, Ollie did not take it this far in his animation. 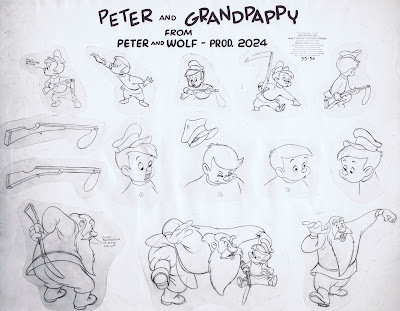 The wolf foreshadows the one from "Sword in the Stone", both characters were designed by Milt and animated by John Lounsbery. 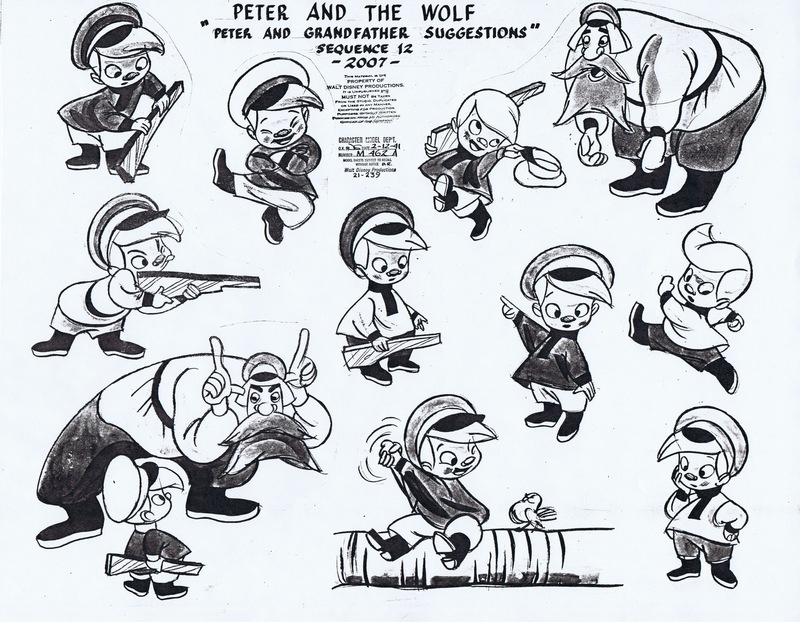 Milt's early version of Peter. Ward Kimball took a crack at it and came up with these. 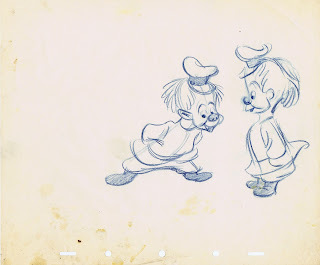 Any resemblance to the young Pecos Bill? 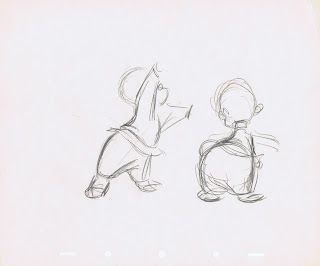 These are Ollie's drawings, I find those proportions the most appealing. 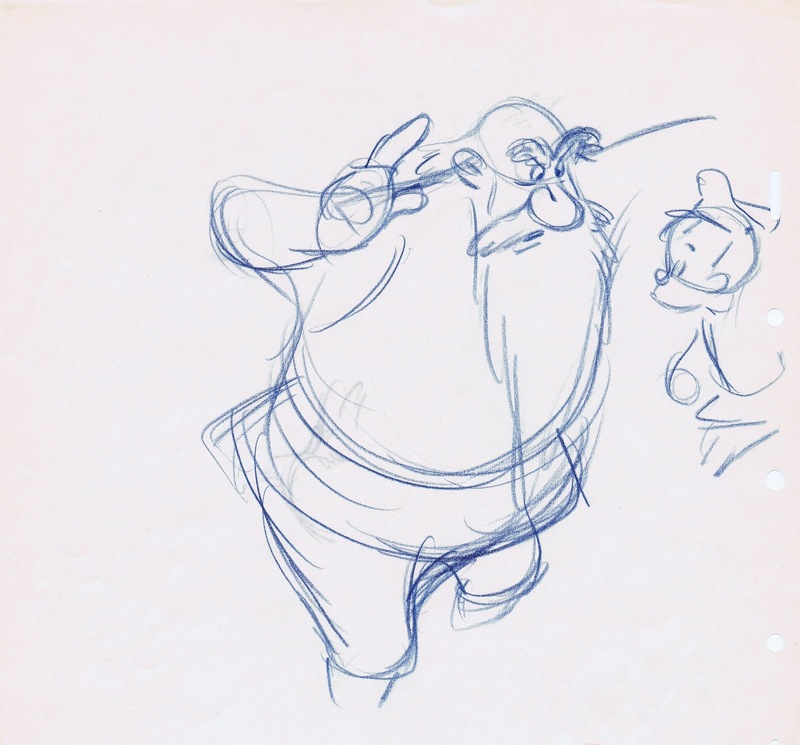 Layout and compositional studies by Milt. 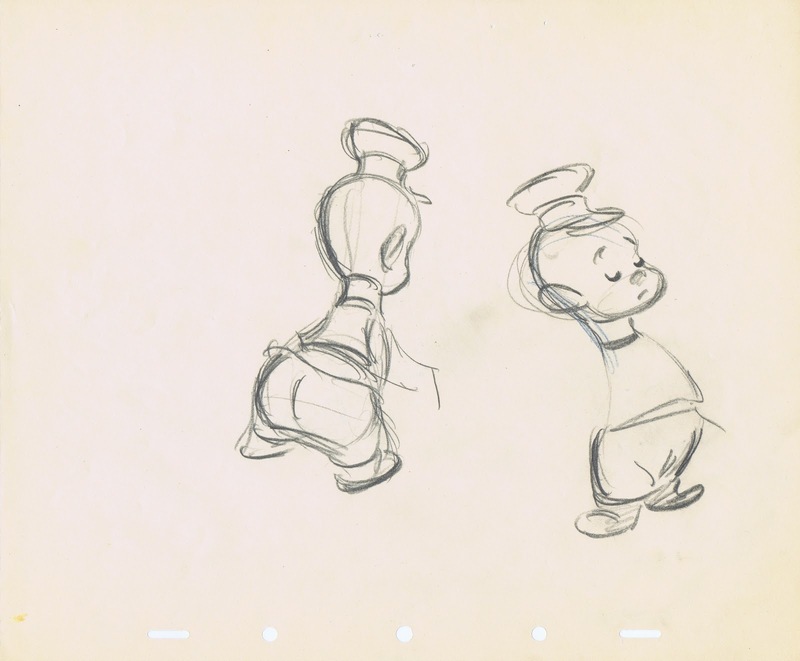 The last image is Ollie's. 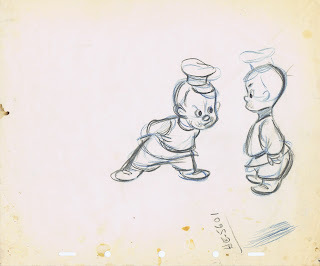 When I look at this cel set up, I see beautifully painted snow, but it also reminds me of sweet whipped cream. 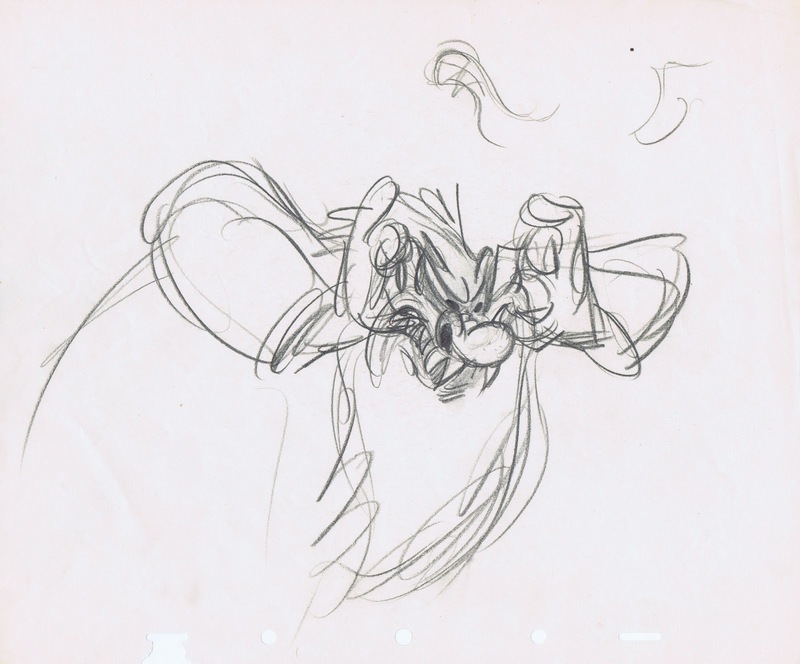 You just want to take a bite out of it!